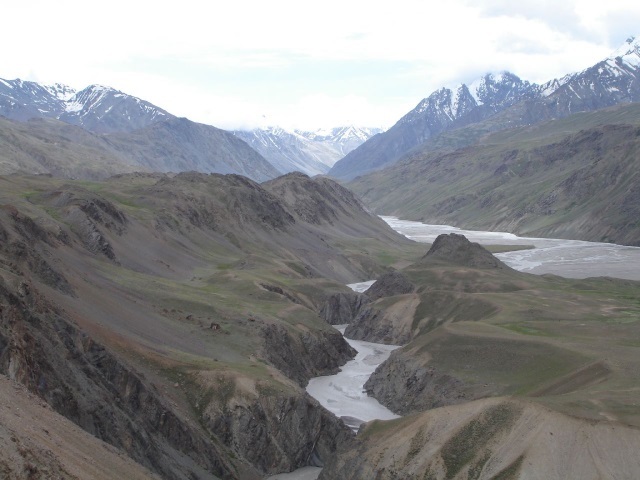 A high and remote trek, between lush alpine mountains and the bare wilds of Zanskar and Lahadh. Rough and barren hillsides interspersed with bright stream beds. While you are in valleys for most of the time, you get fine views from the final pass. 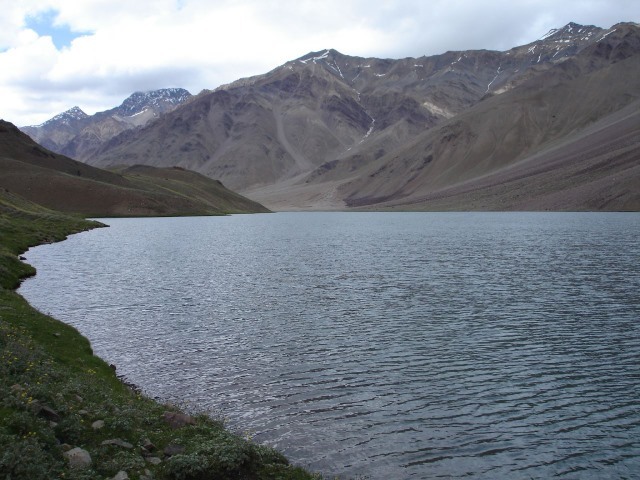 A high and remote trek in the transitional Lauhal area, between lush alpine mountains and the bare wilds of Zanskar and Lahadh, starting at Chandra Tal at 4,300m, which is also known as ‘Moa Lake’. Rough and barren hillsides interspersed with bright stream beds. While you are in valleys for most of the time, you get fine views from the final pass. 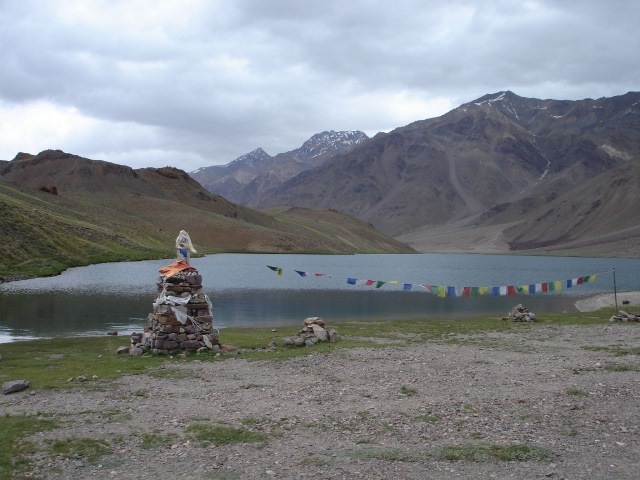 Unusually, the trek ends at its high point, the 4,950m Baralacha La on a road to Ladakh. 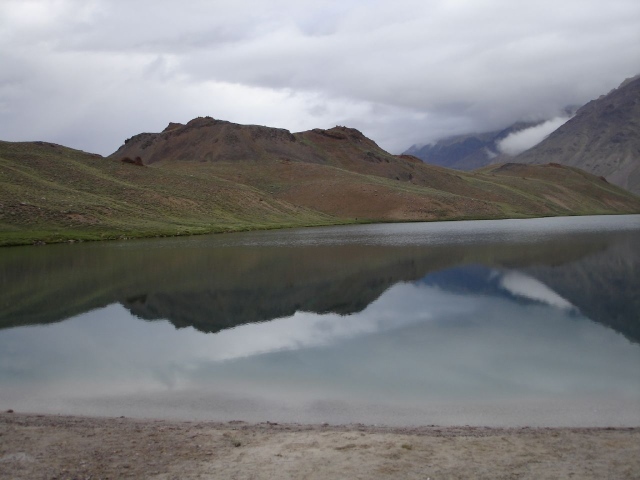 You can cut out the first day as a track now goes to Chandra Tal, which can only harm this lovely area. The trek is hard to access and leave, which will put off softer travellers. 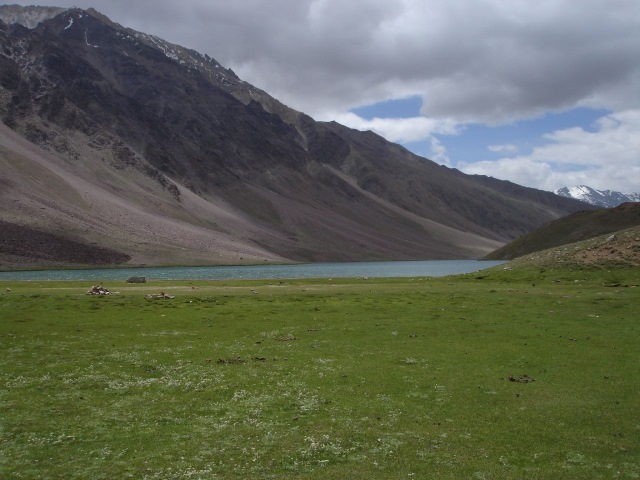 You can trek into Chandra Tal in 1-2 days, which would be both a pleasure and valuable acclimatisation if planning to walk further. Tough walking in remote mountains. Difficult river crossings, a rope is strongly recommended. With the highest point at 4,950m, altitude can cause real problems. Come fully prepared, including proper acclimatization. Briefish info in Lonely Planet’s Trekking in the Indian Himalaya. Walk this in July to mid October.